Siopao Heaven: Blu-ray on X-Box 360? 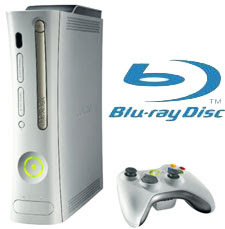 "Sony is in talks with console rival Microsoft about offering a Blu-ray drive for the Xbox 360." The exec also noted that it was having similar discussions with Apple, which has yet to even offer a Blu-ray option on any of its machines.